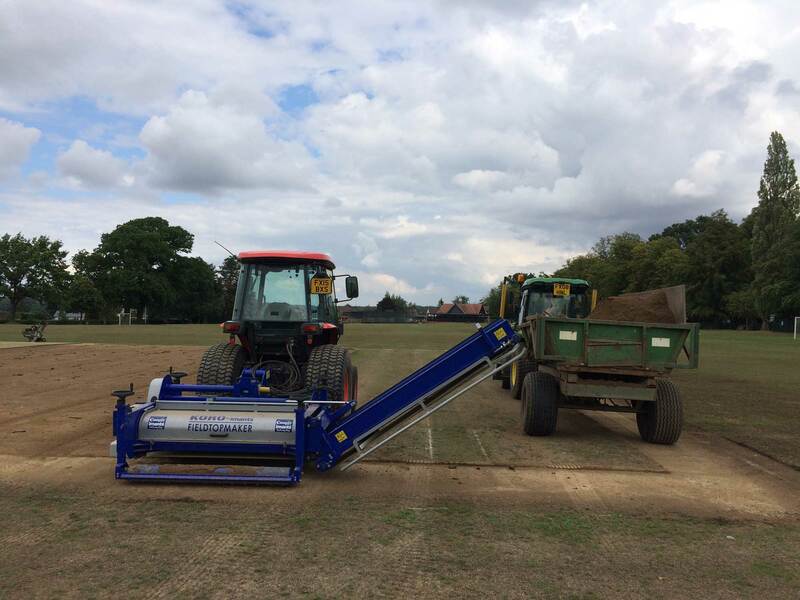 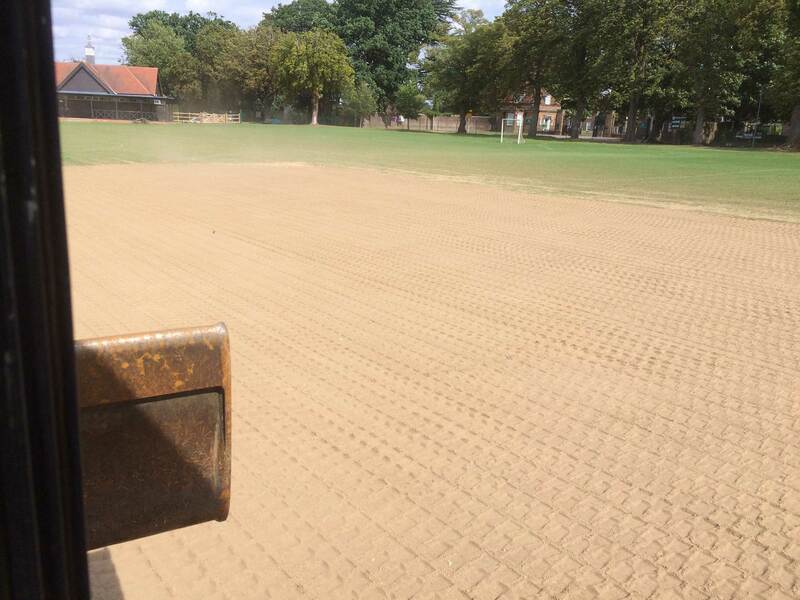 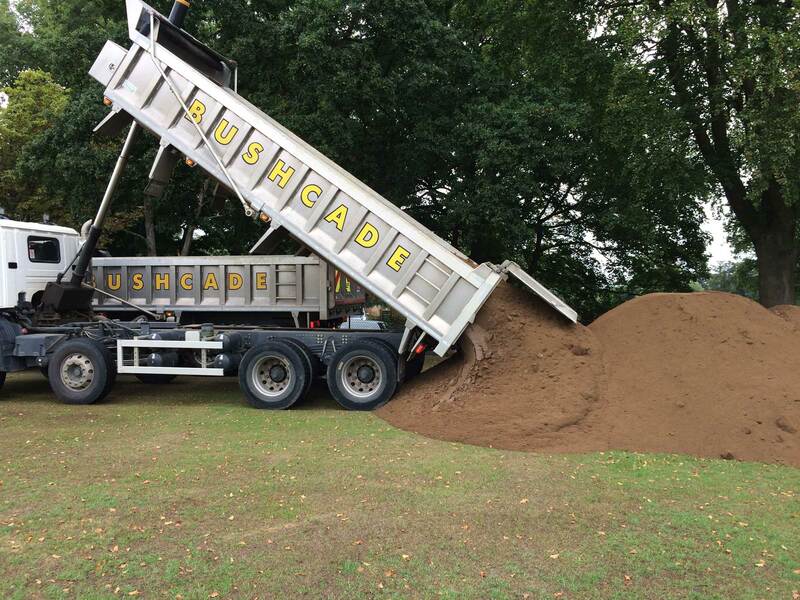 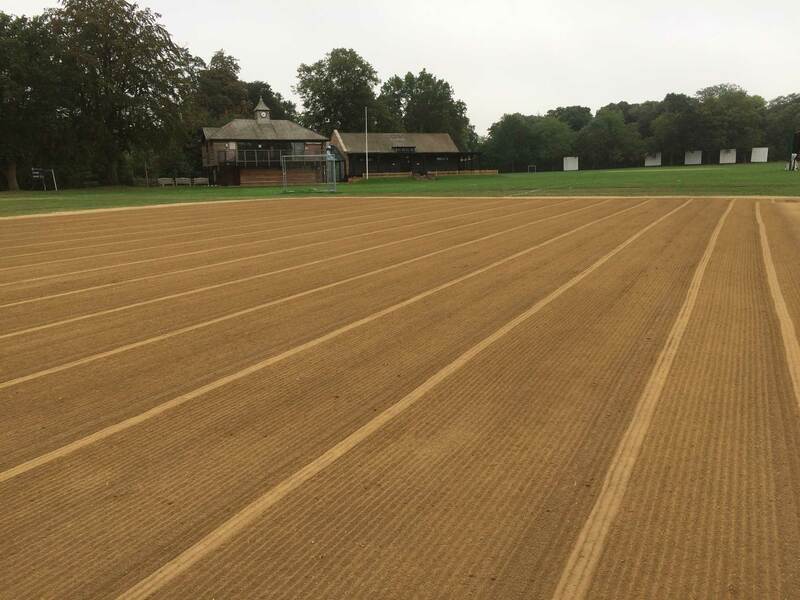 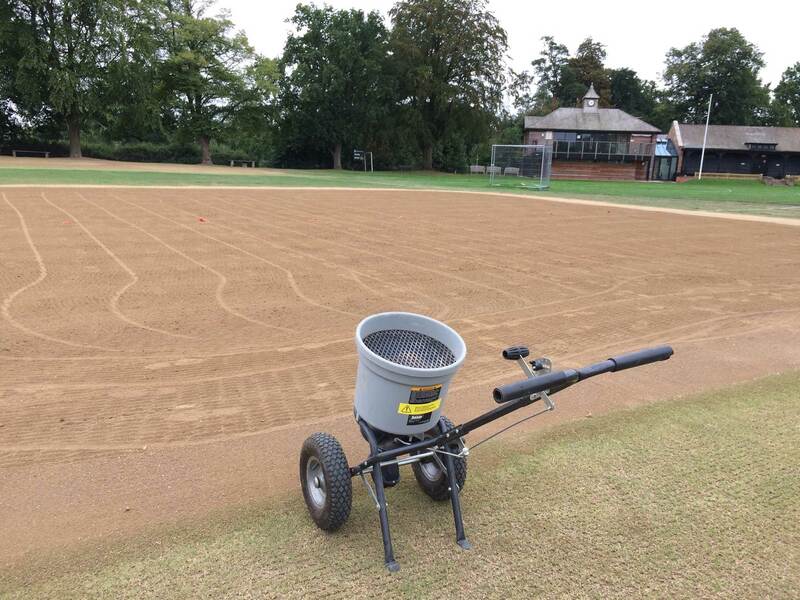 In August we returned to Berkhamstead School for a third year to complete their end of season cricket pitch renovation. 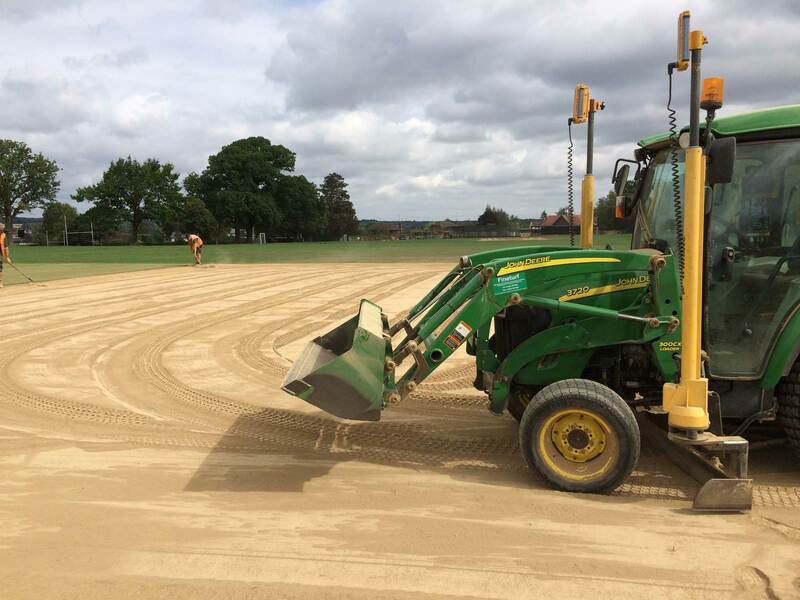 This year we renovated half of the square, 6 pitches and the junior square, 4 x 25m pitches. 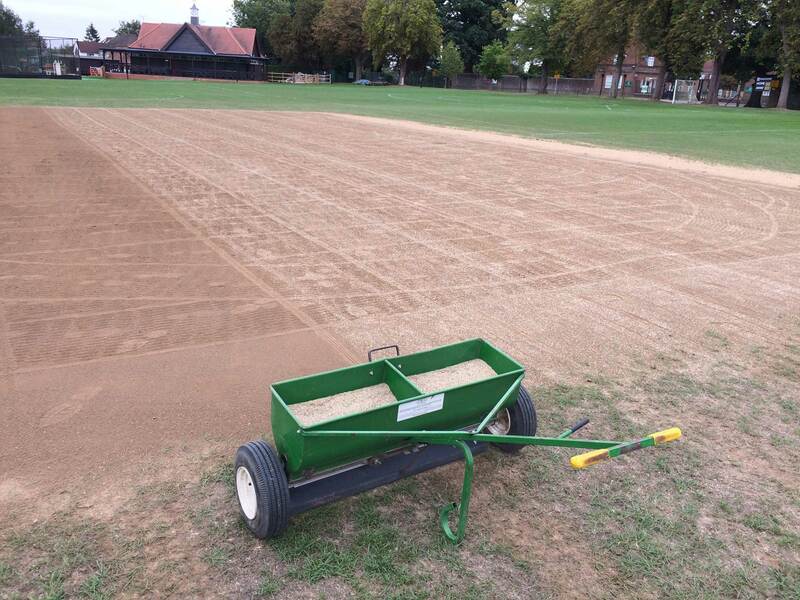 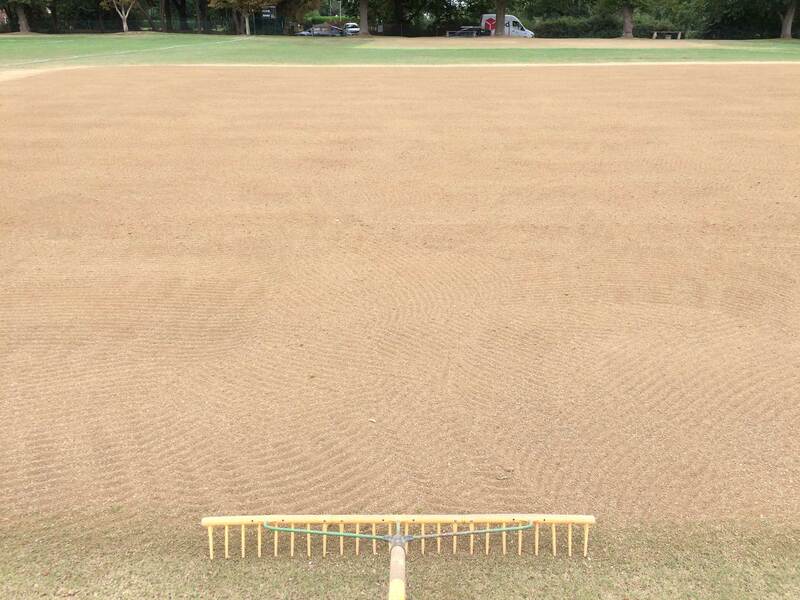 A Koro Terraplane removed 15mm of the existing surface and any thatch build up. 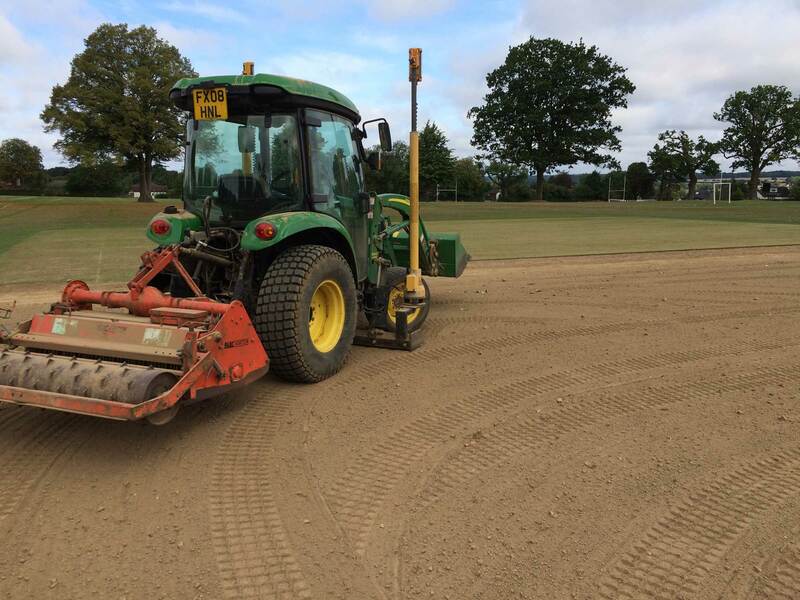 A further 70mm of loam was removed and stockpiled for reuse. 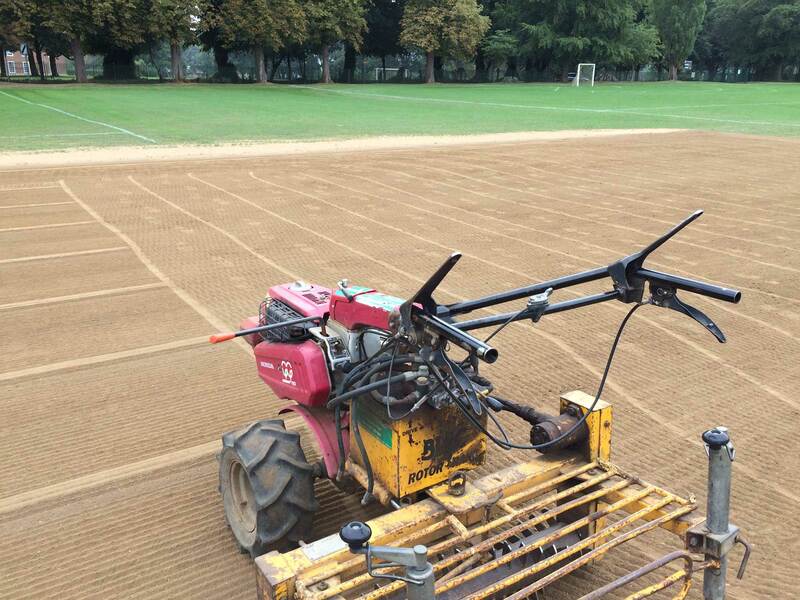 The pitches were lightly cultivated and laser levelled. 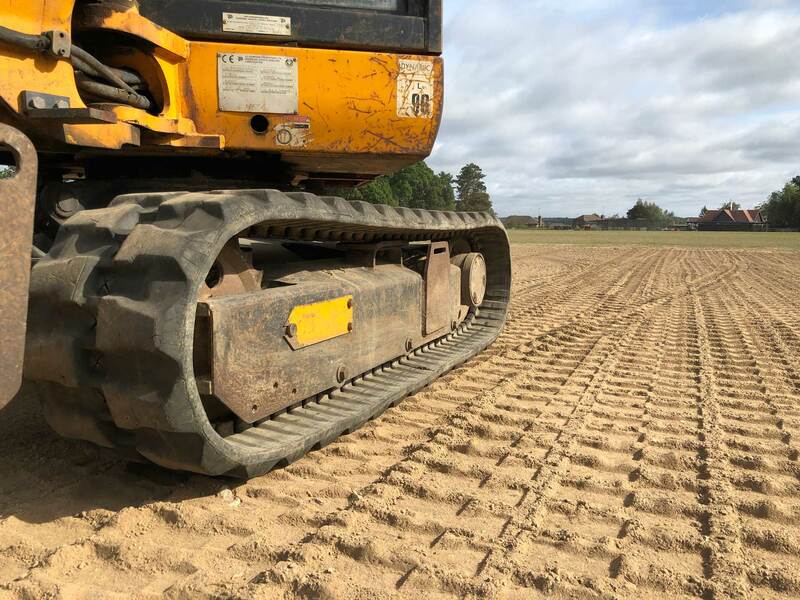 The formation was consolidated to a depth of 100mm and surplus material removed. 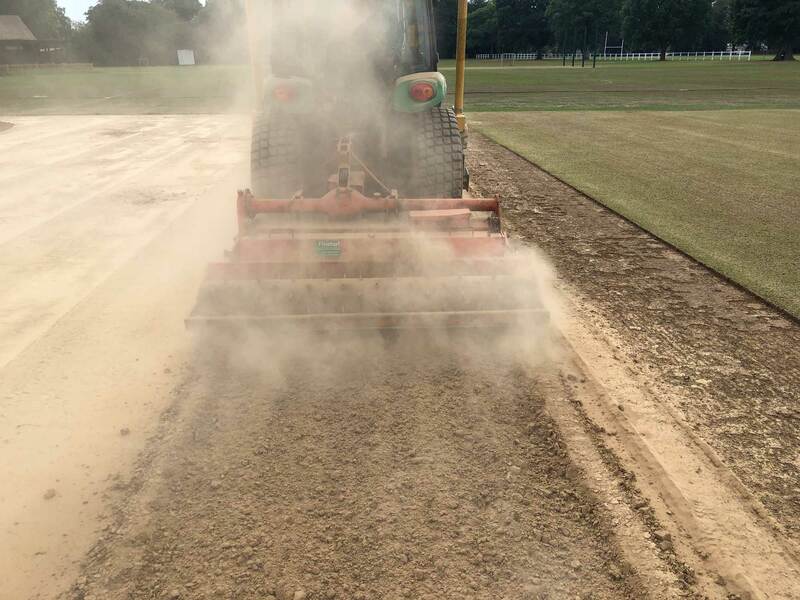 The stockpiled loam was re-spread, laser graded and consolidated. 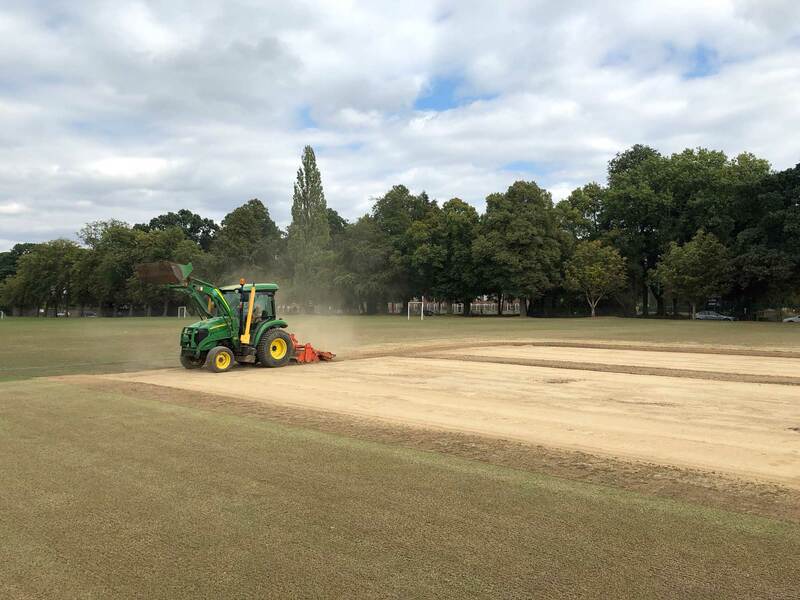 A 30mm layer of new loam was imported and spread before being ameliorated into the existing loam, power raked and regraded. 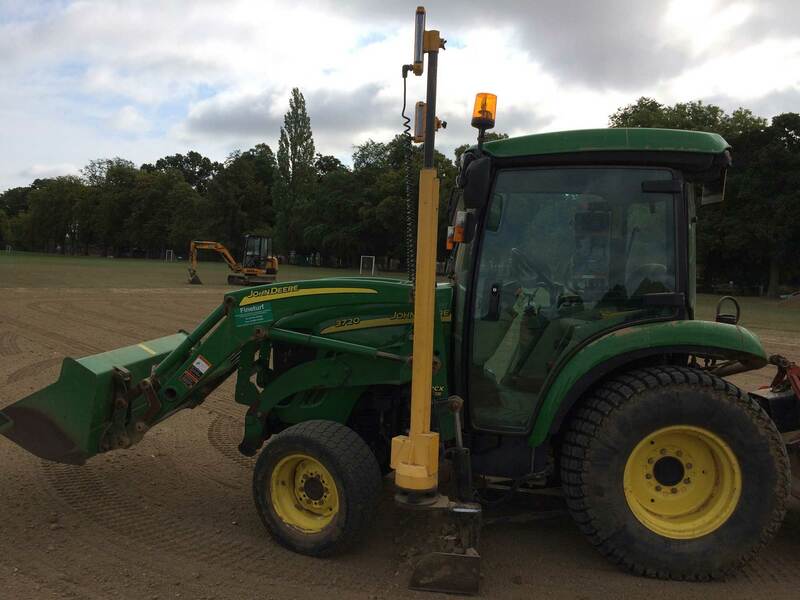 A pre seeding fertiliser was applied at 45gm2 and Limagrain MM50 grass seed sown at 50gm2. 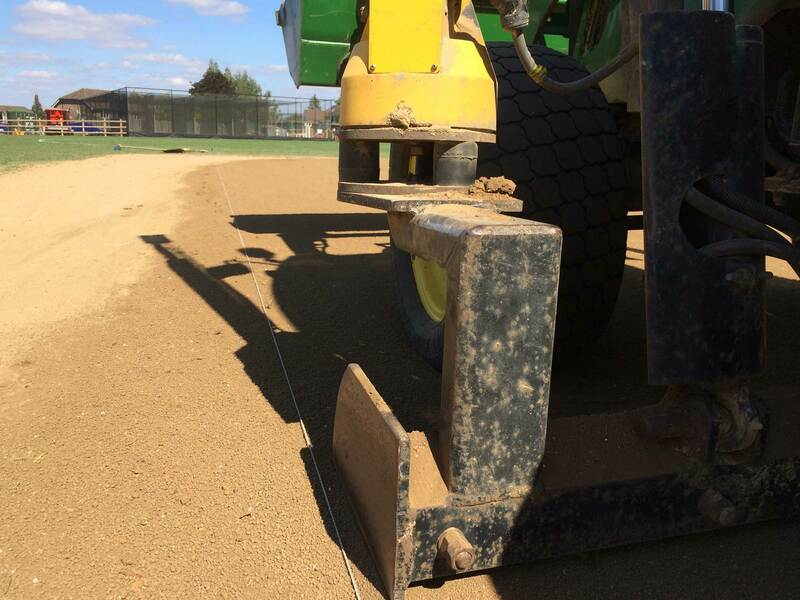 Finally, the grass seed was raked in.